AirAsia X and Sony Malaysia have partnered to launch a joint brand ambassador to represent both brands. Titled “Through the Lens”, the 10-week contest will run from 30 July to 7 October 2018, with the winner receiving a one-year ambassadorship. 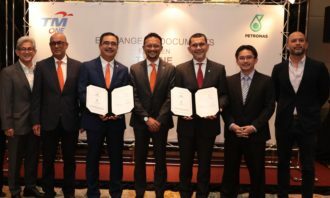 This includes air travel courtesy of AirAsia and the latest Sony camera equipment to share images from AirAsia’s travel destinations worldwide. The winner will also stand a chance to discover Sony’s latest technologies at its headquarters in Japan, as well as receive free return Premium Flatbed seats and accommodation in Tokyo. Sony’s new full frame mirrorless camera, Alpha A7 III K, and Sony h.ear on 2 wireless headphones will also be given to the ambassador. Meanwhile, nine consolation prizes including AirAsia X flights and a Sony RX100V camera will be provided weekly to the best creative story submitted on the contest’s microsite. According to AirAsia X Group head of commercial Barry Klipp, the contest was launched together with Sony to showcase how travel experiences can be told in amazing ways visually no matter what the budget – either through a smartphone or with the best camera equipment in the market. The airline is also searching for an individual who explores an AirAsia destination and shares his or her favourite travel moments. Klipp said as a company, it is committed to innovation and technology. 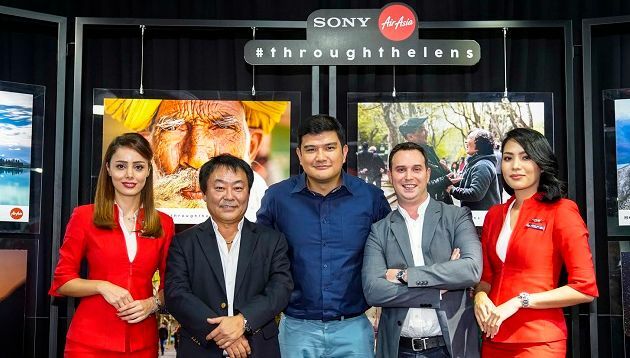 “With this Sony partnership, we hope our guests will be inspired to share their travel experiences wherever AirAsia flies, through their own lens,” he added. Sony Malaysia managing director Satoru Arai said due to the increase of smartphones penetration in the market, passion for photography has advanced rapidly in a few short years. “In collaboration with AirAsia, we believe we can keep the inspiration chain alive and people will start capturing the beauty of everyday life through their lens,” he said. Edelman's Andrew Ryder thinks Hong Kong marketers are using shortcuts to keep and attract consumers, which unfortunately results i..
"It’s time to take Marketing Magazine's growth to another level and nobody else, but Rezwana Manjur would’ve been the best person ..
Maybank is the first ASEAN bank to adopt Microsoft’s Windows Phone 8 platform for its corporate mobile banking application, Mayban..